4-sided hand carved Om cube on a color bracelet. Ultrasuede is Vegetarian! 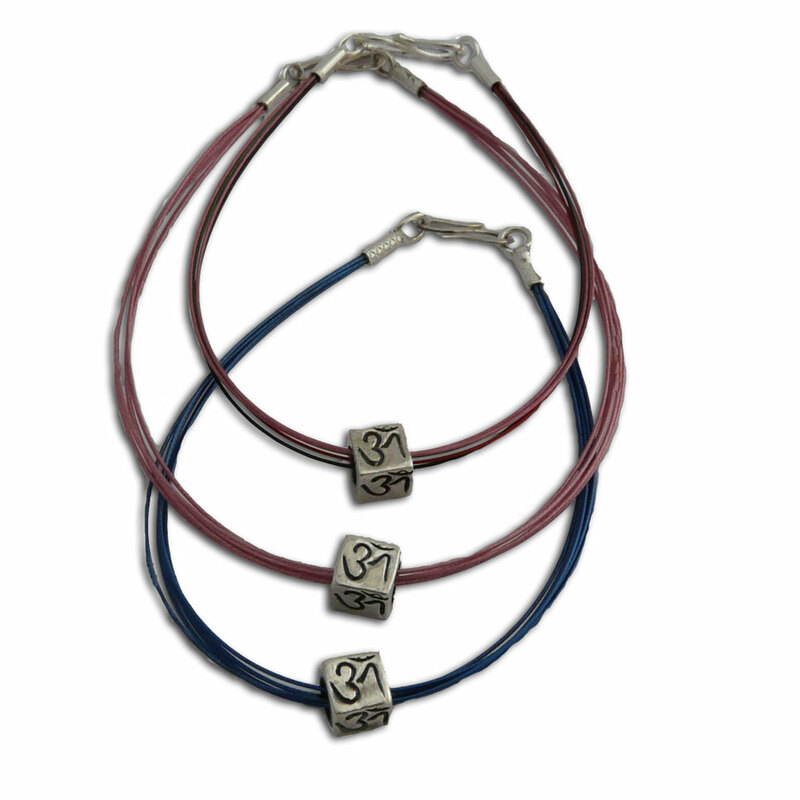 A SET OF 8 4-sided hand carved Om cube on a color Ultrasuede cord that can be tied as an om anklet or om bracelet. You get one of each color shown.